In May 2008 two women sipped early morning coffee around a small kitchen table. They talked about all sorts of things — hairstyles, family, men, fashion, and reflected on their pasts of raising children as single mothers — and their current status as grandmothers and caretakers of elderly parents. Most of all they shared their hopes and dreams for the future. 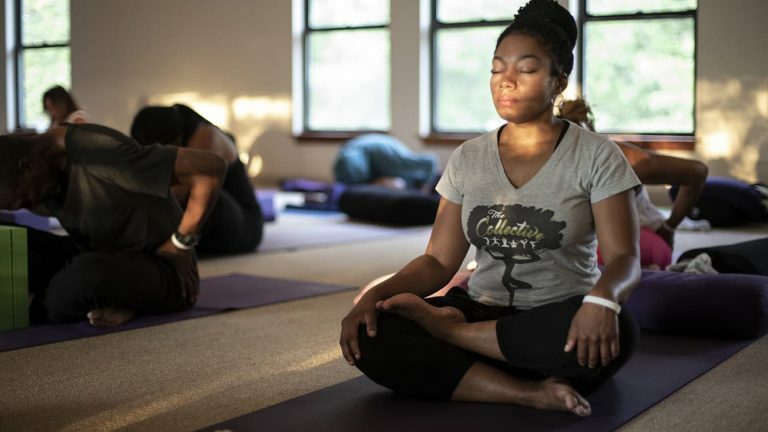 The two women, yoga teachers Maya Breuer and Jana Long, had become close friends and business partners since meeting seven years before at a conference for black yoga teachers. 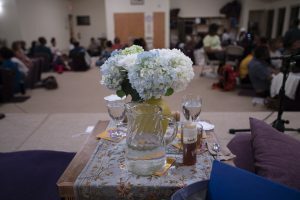 Most conversations between the two of them, would eventually turn to the topic of yoga, and become immersed in sharing their challenges and triumphs as black women on the yogic path of self-awareness and realization. However, this morning a new idea that gave birth to a new organization was birthed from their conversation. They reminisced about conferences they had attended in past organized the International Association of Black Yoga Teachers. It was at one of the conferences that the two of them met in 2002. They talked about how affirming it was to meet, mingle and relax with other black yoga teachers and feel no pressure or the need to explain oneself because the practice of yoga met their physical, cultural, emotional and spiritual needs expressions of those gathered. 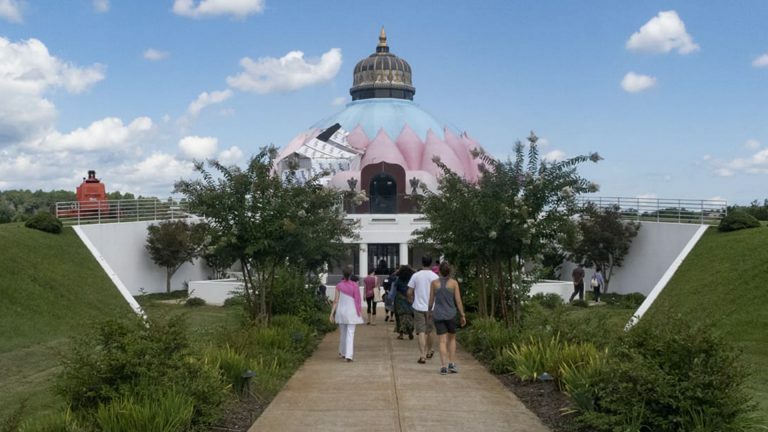 Now that the organization was no longer active, the joy and magic these past events provided left a dearth that was unfulfilled at mainstream yoga conferences. Simultaneously they came up with the idea, “let’s start another black yoga teachers organization?” they said almost in unison. “What should we call it?” Maya asked, as she reached for paper and pen to take notes. “Let’s keep it national in scope, “Jana replied pacing the room as her thoughts flowed. “The mission has to be different from IABYT,” said Maya. “It’s got to be simple — something that can be reduced to a mouthful,” Jana added. They bantered back and forth, ideas moving from mind to matter. “That’s it,” they both agreed. And, thus BYTA was conceived. On June 14, 2008, Jana opened a Facebook group to inquire whether people felt there was a need for black yoga teachers organization. Slowly yoga teachers, practitioners and enthusiasts began to join the group. By the end of 2008 there were 28 members. Over the next five years the membership to the group steadily grew and by 2013 it had reached 1,000 members. It seemed there was a clear mandate and the time had come to begin to build the organization. The initial step was to secure the domain name and build a website, and for that they would need held. Enter Lorenzo Wilkins, Director of sd33 Art Direction and Design, who branded the BYTA identity and developed and built the website. The Black Yoga Teachers Alliance web site launched at midnight on December 13, 2014 or 12/13/14, the last sequential date sequence of the 21st century! The increased number of requests to join the BYTA FB group and traffic to the new website seduced Maya and Jana into thinking the time had come to produce a national event. They planned to offer the BYTA inaugural conference in 2015 and sought venues around the Baltimore-Washington, DC metropolitan areas and in New England. They settled on the Providence Zen Center, a retreat site in Rhode Island where Maya and Jana had chosen for their initial conference collaboration in 2006. 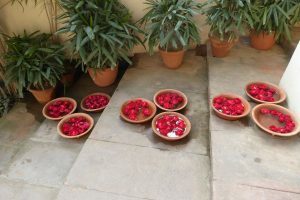 However, they had no working capital and decided to secure the facility by making a deposit with their personal money. They banked on registrations generating enough money to fund the event. They posted content on the web site and social media to promote the conference, but by early spring it was clear with only four registrations that the risk was too high. They had been given a 90-day window prior to the event to request a full refund of their deposit so they made the decision to cancel. Disheartened, but a with good lesson learned, they forged onward. Hardly a month had passed after they had cancelled the 2015 conference that Jana got a call from an excited Maya. “You won’t believe this,” she began, “but I had a conversation with the president of Kripalu and he wanted to know if we would be interested in producing the inaugural BYTA conference there in 2016!” The answer, a resounding “yes,” and with that the serious work of producing a 3-day conference was underway. 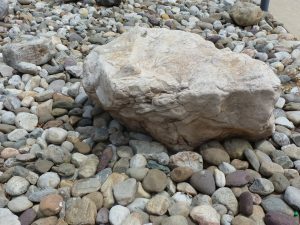 The weekend of August 25-28, 2016 at Kripalu was magical! You had to be there to grasp the full scope and impact of the Black Yoga Teachers Alliance inaugural conference in August 2016, and those who were fortunate to be there will tell the story for years to come. Over 100 black yoga teachers, practitioners and enthusiasts gathered for this capstone event. Many claimed the conference changed their lives in both tangible and subtle ways. Strong connections were made and alliances built. We will remember what was created and shared on the sacred land of Berkshires that summer. After the conference Maya and Jana took the long view of how much BYTA had grown in one year. By the end of 2016 the Black Yoga Teachers Alliance was an incorporated non-profit with 501(c)(3) tax exempt status. Two small but successful fundraisers had supported funding 15 full and partial scholarships with a few dollars leftover for the BYTA coffers to fund administrative efforts in the coming year. The primary goal for BYTA in 2017 is fund raising and membership development. The organization will begin to vet potential board member and seek ways to elevate the presence of black yoga teachers in the world. The first national initiative, “Yoga As A Peace Practice,” will launch pilot yoga teacher trainings in Oakland, CA, May 19-21, 2017, in collaboration with Mark Whitwell’s “Heart of Yoga,” training, both sponsored by the Urban Family Foundation. Finally, the BYTA 2017 Conference is scheduled for July 6-9 at the Kripalu Center for Yoga and Health. 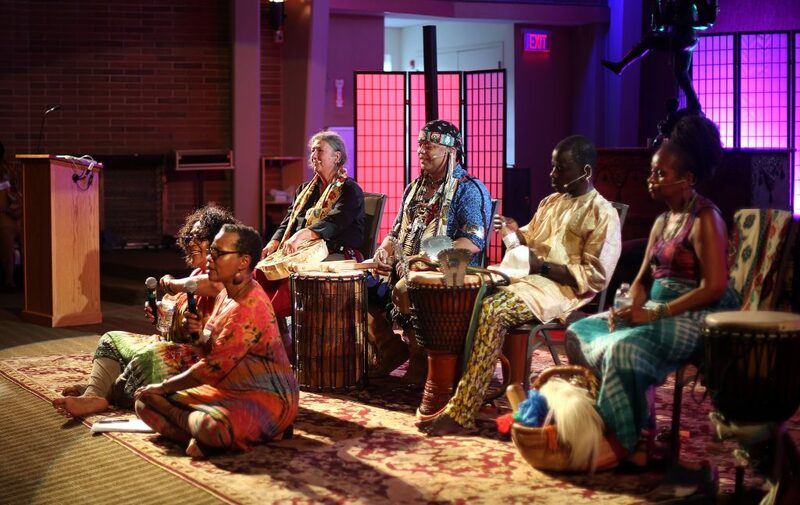 The conference theme is “We Are One,” and will bring together practitioners of Native American, African and African-American spirit traditions to offer prayers for healing the hearts of humanity and the lands, waters and all life forms on Mother Earth. A sacred drum circle led by Abigail Jefferson, Strong Oak, Shawn Stevens and Sekou Sylla will open the conference and set the tone for the weekend. Shola Arewa, Maria Broom and Dr. Gail Parker will return to offer new experiential workshops and they will be joined by Arturo Peal, an expert in the field of yoga anatomy and sacro-cranial therapy. There will be a half-day plenary session, “How’s Business?” with a panel of experts — Shola Arewa, Marshawn Feltus, Octavia Raheem and Andrew Tanner, who will offer their insights and experiences about various aspects of yoga as a business. Finally, we will have a night of deep vibration healing with the yoga sutras, yoga nidra and a gentle gong bath . . . and more . . .